On this episode of Comics Coast To Coast we talk to Will Terrell: comic book, freelance, special agent and creator of the Super Zeroes comic. 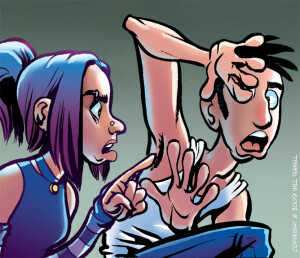 Superzeroes is a free comic that is updated every Tuesday and Thursday. This comic follows four lovable high school outcasts, as they learn about life, love and who they are. Wonderful interview! Will is a terrific artist and a terrific person, as well. His tremendous talent is matched by his positive attitude and support for other creators. Really enjoyed the nuts and bolts discussions. Great job all around!